Mentoring is a valuable tool where both mentor and mentee can thrive from forming a common bond. This session highlighted why mentoring—whether it is through a formal or informal mentorship—is important in shaping the future for librarians of color who are entering in the field. Keeps you in touch with your best practices. Keeps you centered and positive. Allows you to give back to the profession or give back to your organization which makes you an asset which can boost your resume. Reenergizes your career and self-confidence. You can work one on one with someone who will give you feedback in a positive manner (with a nurturing mentor). This is something that is not always available to students in graduate school. It gives you an insight into the profession and organization. It improves your communication skills, self-confidence, etc…. once again, things you will not learn in library school. Martinez spoke that in her experience at the Oakland Public Library (OPL), there are racial disparities between the demographics of staff who have an MLIS degree and those who do not. Specifically, 71% of OPL’s staff with an MLIS degree is white. This number alone establishes why mentoring is important and beneficial to minority workers of the OPL, or any other library system which demonstrates the same disparity. Because of this disparity, Martinez was able to begin a formal mentoring program at OPL in 2016. Thoughtfully seek and solicit participants. Carefully select pairs (mentor and mentee). Create and foster opportunities for in-person and online mentoring (ex: mixer, online communication, the format can be determined by the pair of mentor and mentee). Provide inspiration, support, and guidance (ex: regular check-ins). 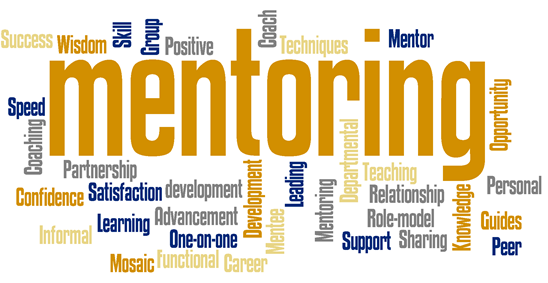 There are also methods in which you can engage the successes and failures of your formal mentoring program. One way is to get institutional support (get support from administration and other coworkers so one person is not tasked with the entire project). You can create a timeline (beginning and end—mentor and mentee) to measure the amount of commitment that both parties must make. Provide structure in the form of conversation prompts or other similar methods, which helps to set goals and point the relationship in the right direction. And lastly, be flexible and don’t be afraid to “reboot”. If the relationship between the mentor and mentee is not working, then a reboot can be established with a mentor that works better with that mentee. Abuwi Aleem stated that in the infancy of her career at OPL, she benefitted greatly from informal mentorship. Informal mentorship, as defined by Lonnie D. Inzer and C.B. Crawford, Ph.D. in the Journal of Leadership Education, is “the natural coming together of a mentor and protégé. This is done in friendship, through personal and professional respect and admiration from each to the other. It is usually a long-term relationship. Formal mentoring differs from informal mentoring in that the organization develops a program and process for mentoring to take place”. Informal mentorship is also serendipitous because the mentee usually finds future mentors by asking questions and learning a lot from co-workers by interacting with them. Mentees usually meet mentors at conferences or other parts of the field. Abuwi Aleem also stated that “informal mentorship seems to be more successful, meaningful and impactful for people of color”. Mentees have a “safe space” to impart and question experiences from someone who has been in similar circumstances. One of the best parts of informal mentorship is that anyone can mentor, it is a relationship that offers “support, advice, and other benefits commonly associated with mentorship…”, it is preferred by librarians of color, and it is flexible ( there is not a specific time limit and you can get mentorship outside of where you are working). Should not be just available for questions. They should be a resource, actively check in and communicate availability. Should not be afraid to share their experiences. They should be open and honest, be reflective, and lead by example. Should not assume anything about their mentee. They should be a good listener, ask leading questions and most importantly, encourage self-care. Should not expect all things from one person. They should seek multiple avenues for support and be willing to try something new. Should not be afraid to ask questions or ask for help. They should seek realistic goals and actively check-in. Should not feel like a burden. They should contribute to the relationship and share their viewpoints. If you would like to become a mentor or find a mentor to help you on your journey into librarianship, you can tweet your request via hashtag: #JCLCMentor on Twitter. Works Cited :Inzer, L.D., & Crawford, PhD., C.B., (2005). A Review of Formal and Informal Mentoring: Process, Problems, and Design. Journal of Leadership Education, Volume 4 (Issue 1), pp. 31-50.